Reconstruction of Masculine and Feminine Identityin Javanese Populer Songs. I.M. Hendrarti, Dra., MA., Ph.D. (2012) Reconstruction of Masculine and Feminine Identityin Javanese Populer Songs. 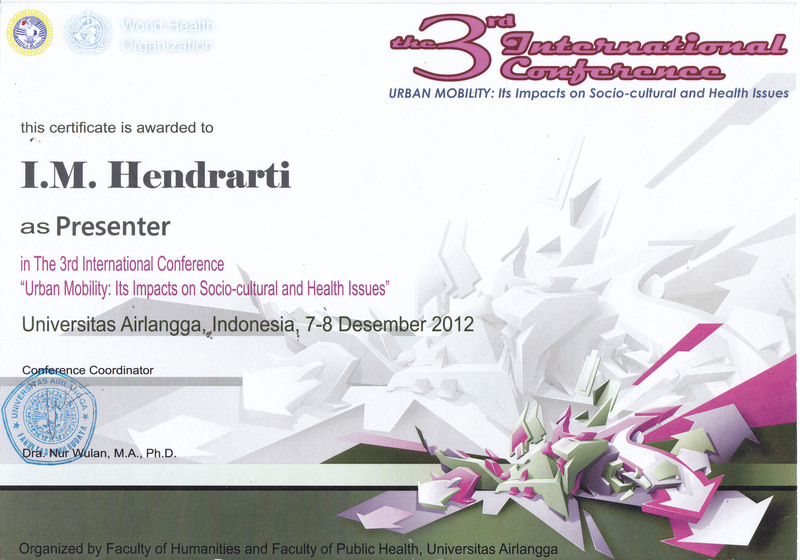 In: in The 3rd International Conference "Urban Mobility: Its Impacts on Socio-cultural and Health Issues", 7-8 Desember 2012, Universitas Airlangga, Indonesia. This paper aims to analyze some Javanese Popular songs commonly known as Campursari (in English, "Mixed Flowers"). It focuses on the analysis of the reconstruction of masculine and feminim identity embedded in the songs. The analysis is concerned not only with the critical issues of sexism in the lyrics but also the representation of gender identity. In other words, this paper aims to look closely at how the composer's point of view and metaphors are related to the issues of gender identity. keywords: Javanese popular songs, Campursari, feminine identity, masculine identity, sexism, gender identity.